How can your Business Catch the Eye in a 10 Foot Trade Show Booth? 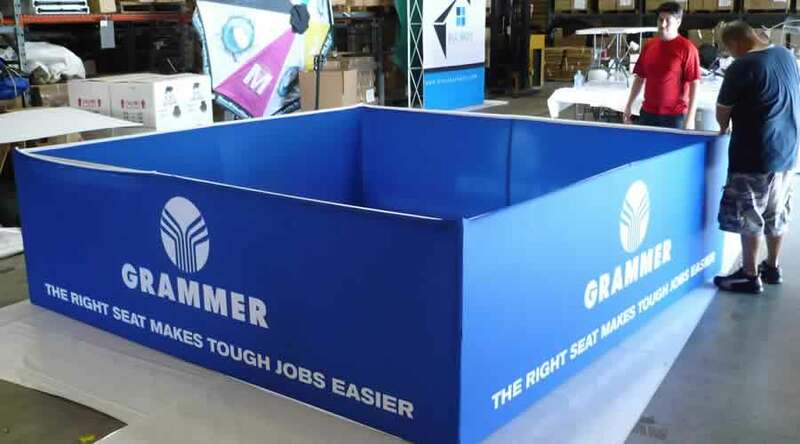 So, you want to set up a booth at a trade show. That’s a great idea. But, have you given a thought to the booth you are going to use as an exhibit? 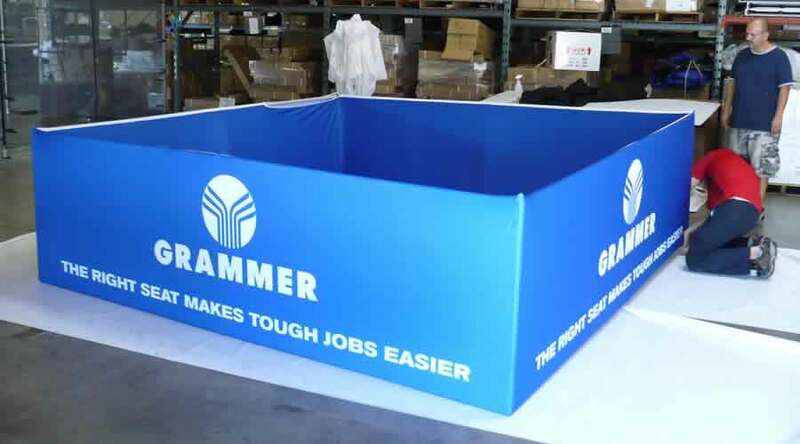 Let’s say that you chose a 10 foot portable booth for exhibiting your products. Now, the thing is, yours won’t be the only exhibit in the show. In fact, there might be bigger portable trade show booths in the area. With so much competition around, you must order a booth, which is bound to grab the attention of people in the vicinity. Agree or not, a 10 foot booth does not offer much space. You need to promote your products with minimum resource. In such circumstances, you cannot afford to send someone with less experience or someone who can hardly communicate properly. Make sure that your resource is well aware of the products you are advertising and also the benefits of using them. In the event that you are exhibiting among a regional audience base, you should send someone who is acquainted with the local people and can convince them to make a purchase. A very important thing to keep in mind in this aspect is the duration of the show. Make sure that there are at least 2 employees representing your company from time-to-time. Otherwise, it will convey a bad impression about your company. You don’t want people to think that there is only one staff in your company. Do you? Moreover, there is something called humanity. One staff would get famished and tired after sitting at the same place for hours attending to visitors. And, no points for guessing that a tired staff can do more harm than good to the marketing of your business. Other portable trade show booths will happily claim clients while your staff takes time to relax and refresh. Design is the first thing that attracts audiences to your site. So, make your 10 foot booth look like the belle of the party. Use bold colors, dynamic graphics and appealing images. As far as content is concerned, you need to boil down your marketing message to just the basics and write it down in attention grabbing words. Another important point to keep in mind as far as the layout of the booth is concerned is that it should not be cluttered with products or images. Keep it nice and tidy, so that it does not hinder movement of people visiting the show. You won’t create a positive impression if it does. Be aggressive. That is the first and last thing to successful promotion. Heighten the discount rates only for the trade show, keep giveaways near the aisle and be ready to talk to visitors. Remember, the show is a place where you can make an impression. 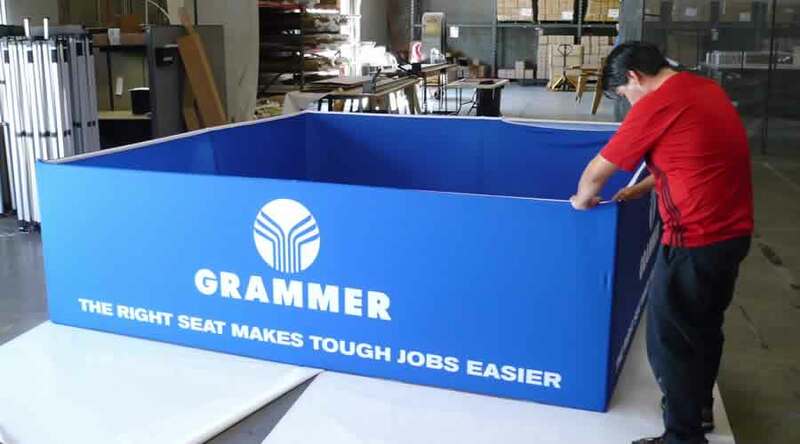 So gear up and advertise your products in a such a manner that your 10 foot exhibit gives tough competition to all other portable trade show booths in the aisle. As far as traffic is concerned, just wait and watch.